It is a square pillar with several holes and indentations, and has been broken in the past at both top and bottom (probably during the war) and it has now remounted on a concrete post. Neolithic man has left his trace in the village with the Menhir. 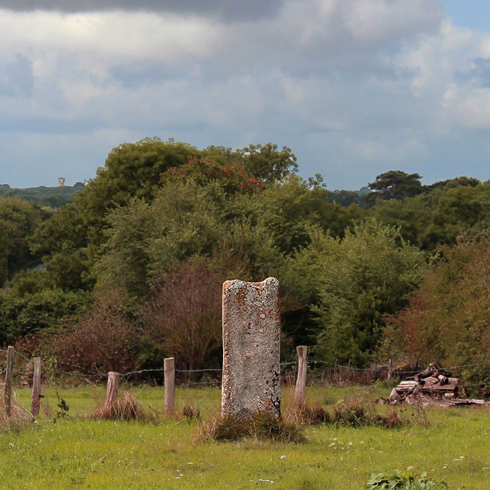 The standing stone proves the existence of human presence here, as does the Neolithic tumulus dating from 3500 - 4000 B.C. just a little further down the road. 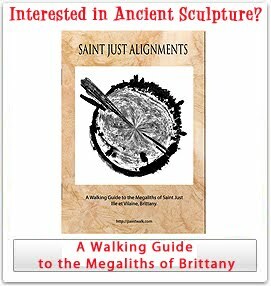 The well restored giant tumulus is only about a mile down the road and can easily be found nearby. 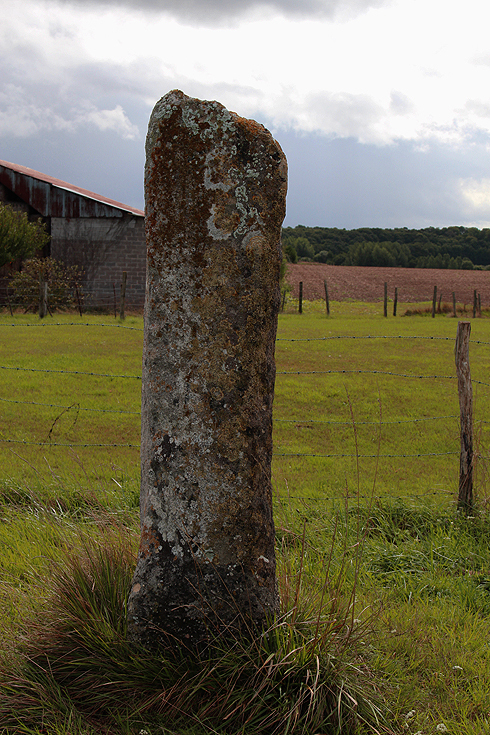 The Menhir is situated at the side of the road from Revies to Bayeux (an ancient Roman road) is opposite the roadside crucifix. 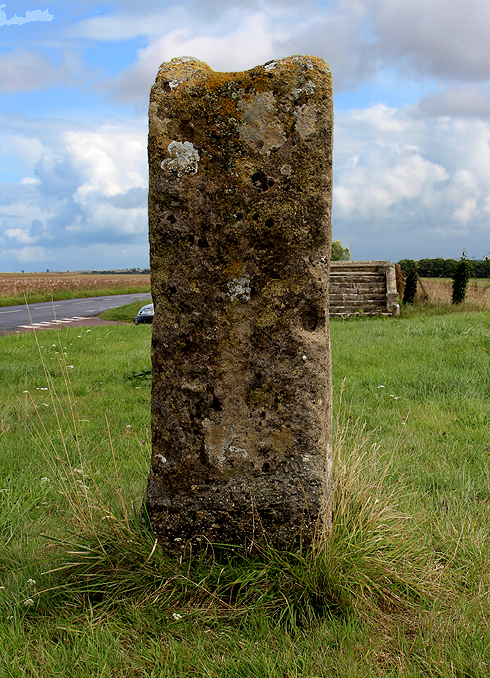 The standing stone, which was linked to a form of worship, was broken in around 1845. According to legend if you climbed this stone and placed several coins on it, you would be married within a year. On 10th July 1887, the roadside crucifix which is now found inside the church was blessed by the priest Abbe Mutel. It used to stand at the intersection of the Banville and Reviers roads. 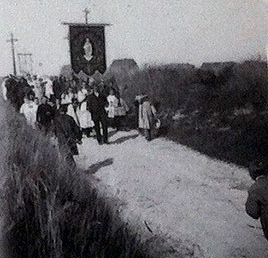 The villagers carried the wooden cross on the shoulders from the presbytery. In 1967, the old roadside crucifix was about to fall down so it was replaced.